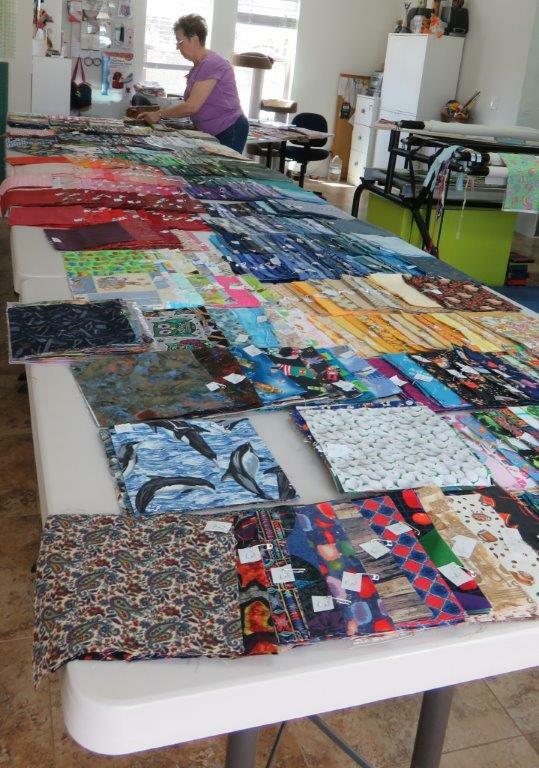 Last week a group of volunteers got together for another Peace by Piece Quilters SCRAP EVENT. All of the Peace by Piece Quilters precut 8 1/2 inch squares of scrap was collected and sorted by color and theme. To give you a relatable example of how many 8 1/2 inch squares of scrap we started with, it nearly filled 6 file boxes. The picture above only shows about half of what we worked with. At the end of the day we had 82 kits and a lot less 8 1/2 inch scraps left, it fit in just over 2 file boxes! That's a lot of kits that you'll be seeing at upcoming bees for the next several months. 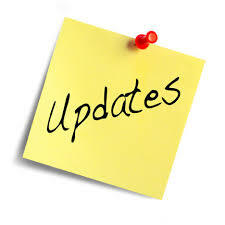 Please update your calendar to show this years June bee will be held on the 14th instead of the 7th. The church will be using Mission Hall for their Youth Urban Mission on our normally scheduled bee date. As in past years... we will NOT have a bee during the month of July. If you haven't made it to the quilt show at the Gilbert Historical Museum the show is open through May 28. Admission is $5 or $4 for seniors. If you entered a quilt in the Gilbert Historical Museum show your quilt will be available for pick up at the June 14th bee. If you want your quilt sooner (but still after May 29) contact me by clicking on the "Email me" icon at the end of this newsletter. I spent some time at the Arizona Quilters Guild (AQG) show and noticed names of several volunteers to Peace by Piece Quilters. If you entered a quilt in the AQG show we'd love to see it! Bring it to the bee and we'll have a special show and tell for everyone who's quilt hung in the show. If you would like to share any ribbons and/or judges comments we'd like that too. ~ 16 tops were sewn together. ~ We completed 29 quilts. ~ Raffle items raised a total of $85. ~ The kit-kit station is overflowing with kit-kits waiting to be cut into kits. ~ The kit basket is over flowing with freshly made kits (see paragraph # 1). ~ As always there will be a collection of tops waiting to be layered and quilted/tied. ~ There are 2 quilts that just need binding. ~ Binding and labels - There are 3 that have binding ready and another 16 that will be available to sewers as quickly as the Binding Queen can get the bindings cut. ~ Remaining in the Peace by Piece stash closet are 90 quilt tops waiting to be quilted. ~ AND... If shipping goes as planned, there will be one NEW iron to replace the one that retired last month! This barber. 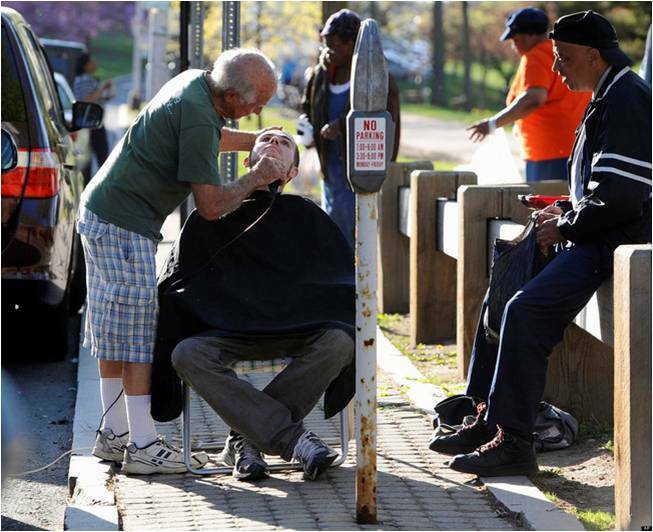 who offers haircuts and a shave for the price of a single hug. At the Peace by Piece Quilters bee on April 5. There will NOT be a FREE table this month. We will NOT be accepting pet beds this month. Pet bed covers WILL be available for you to stuff with your scraps. Please note, we will NO longer accept scraps for pet beds. We WILL accept heavy duty fabrics, such as upholstery fabric, for pet bed covers. Pieces must be 1 yard or larger. Click on the Email Me icon below to send your homework and special requests to me. Requests must be received by Tuesday at 9am.